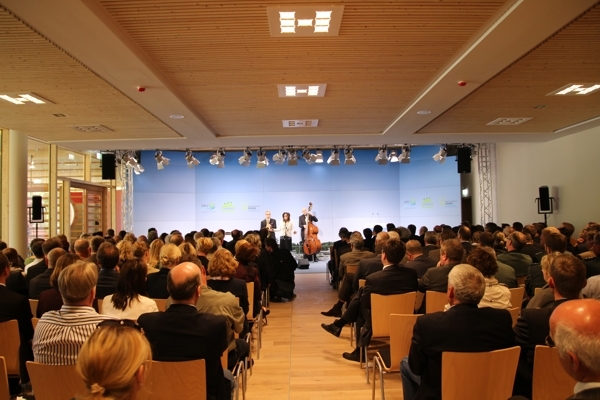 Lectures, concerts, readings, city parties, panel discussions, sports events – a wide range of event ideas and sizes! With L&S you have a partner who takes your reading with 50 listeners just as seriously as your city parties with 5000 guests. Therefore, we do not just provide the technology. We design stages and venues in your corporate design, provide you with the latest technology, discussion furniture and decoration elements. Due to our experience, we are familiar with safety regulations, noise protection, soil protection, short set-up and dismantling times, etc. Always keeping our L&S full service concept in mind, because you have more important things to do! For the second time in a row, L&S won the invitation to tender from the Deutschen Bundesstiftung Umwelt [German Federal Foundation for the Environment] and was able to carry out the “Week of the Environment” as a technical service provider in Berlin. 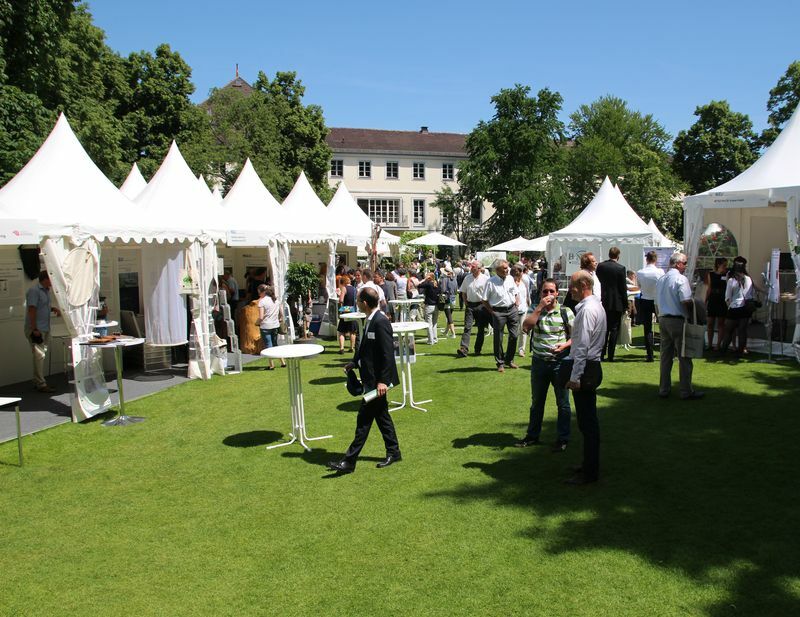 On 7th and 8th June 2016, the Federal President Joachim Gauck invited almost 200 exhibitors to his garden to present their ideas concerning climate protection, energy, resources, soil and biodiversity, mobility and transport as well as building and living. Parallel to the exhibition, 6 main and 80 experts were held in moderated discussions. 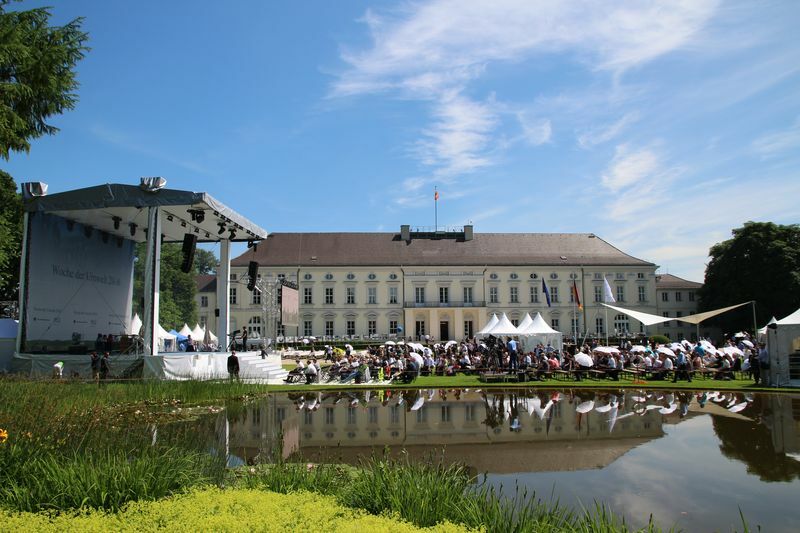 The “musik: landschaft westfalen” offers visitors an experience of classical music and the arts, encounters and culinary specialties on six festival weekends. 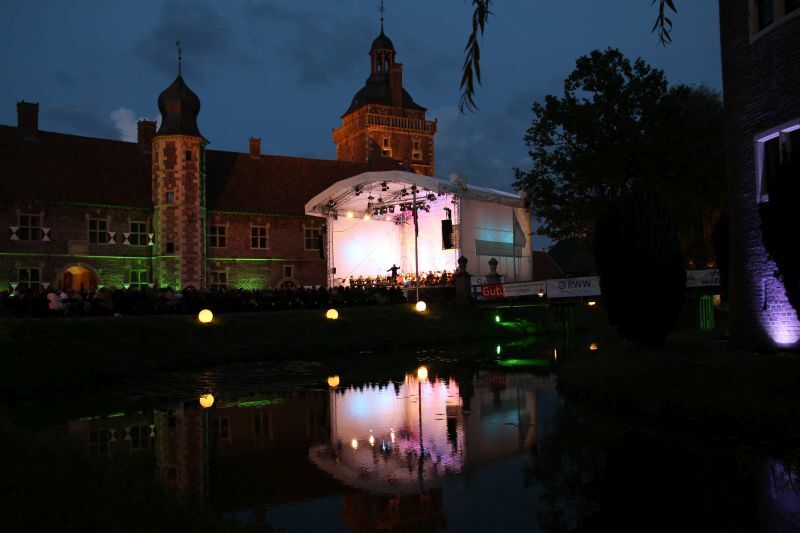 The Parklandschaft Westfalens serves as the place of the concerts. This area is remarkable due to its landmarks, its architecture and its attractions. 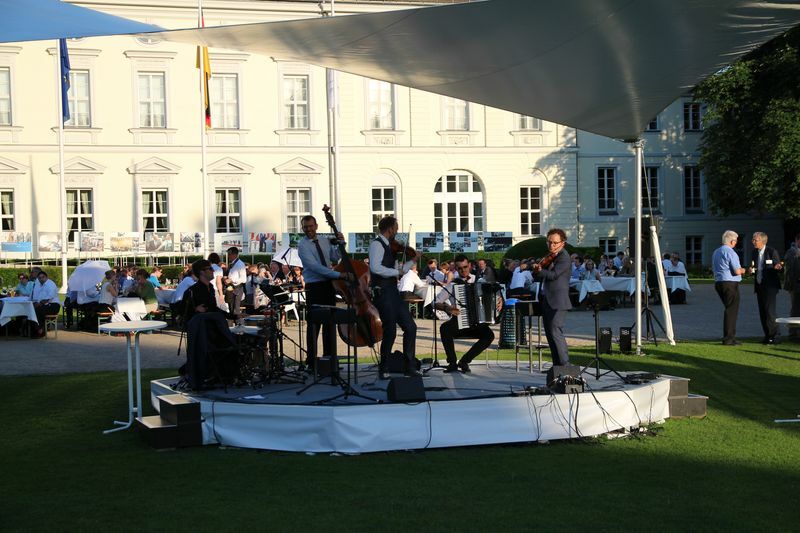 In August 2014, the great Kammerphilharmonie [chamber philharmonic] St. Petersburg, together with the MLW Festival Choir, hosted the Wasserschloss in Raesfeld. 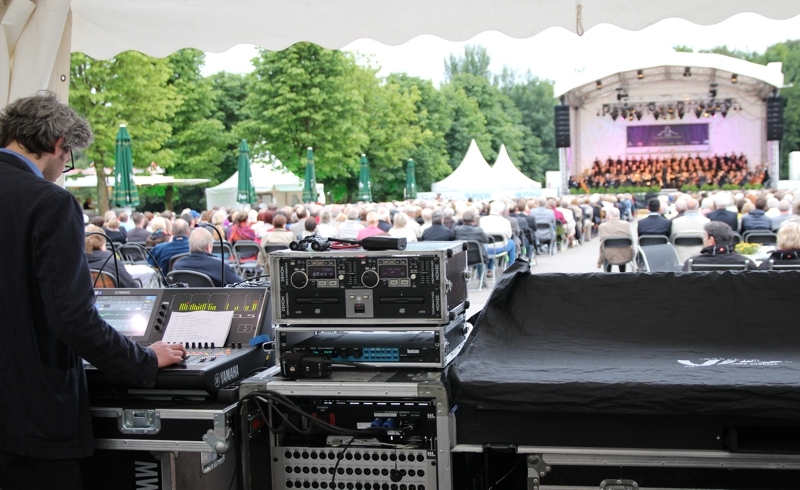 L & S supplied a 140 m² stage, lighting technology and the necessary transmission and sound technology for classical orchestras. The special sound equipment in particular was very popular with our customers and the guests, and there were quiet a few. 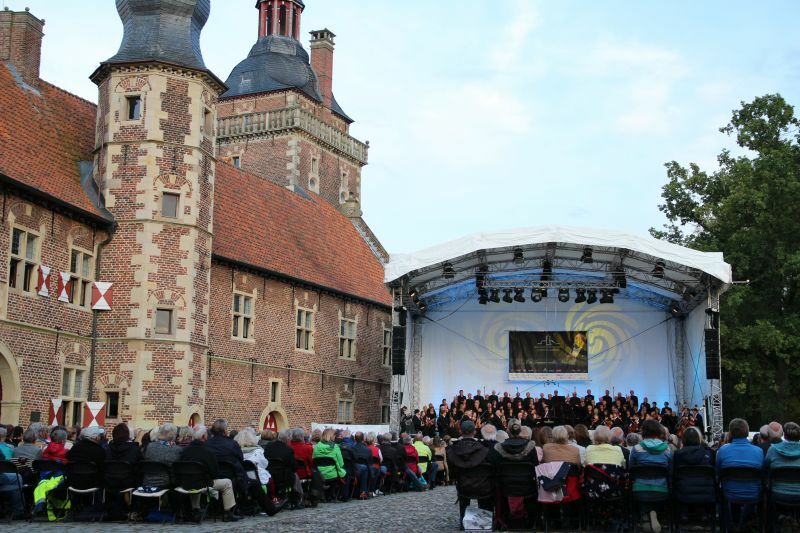 Our team focuses, concerning sound equipment and technology on a Line- Array-System KIVA of the French manufacturer L ‘Acoustics, microphones from Neumann and Sennheiser and mixing console technology from Yamaha. Summer 2013 – L&S cares for classic tours! 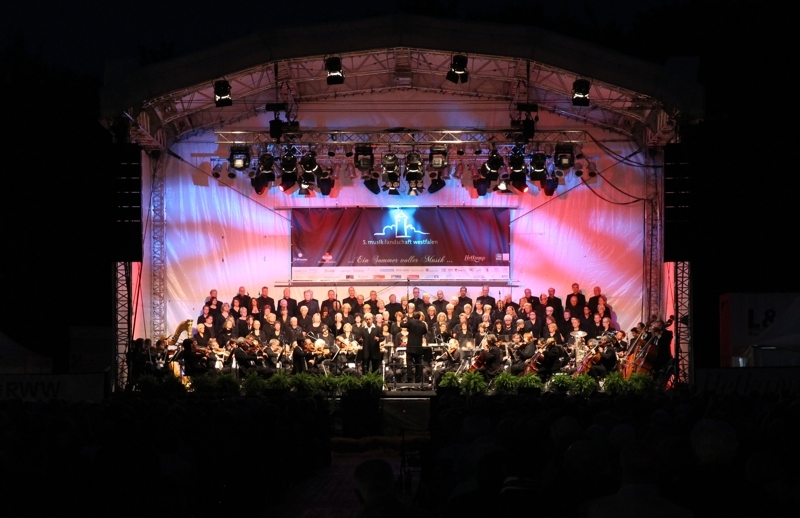 In the summer of 2013, L&S, as general contractor for the trades of sound, light and stage, supervised a concert series with various classical orchestras, choirs and artists. There were twelve concert venues where a total of 16 concerts were played! 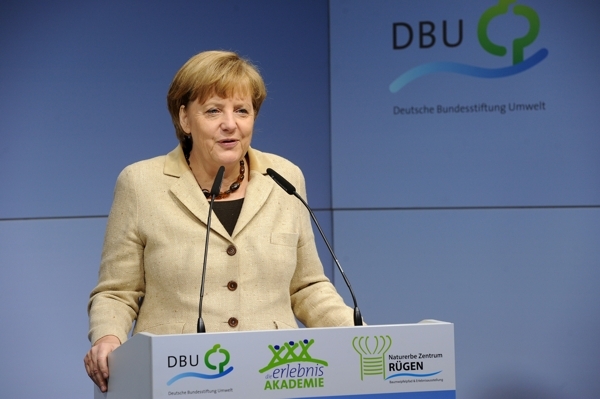 Merkel inaugurates Natural Heritage Center Rügen! 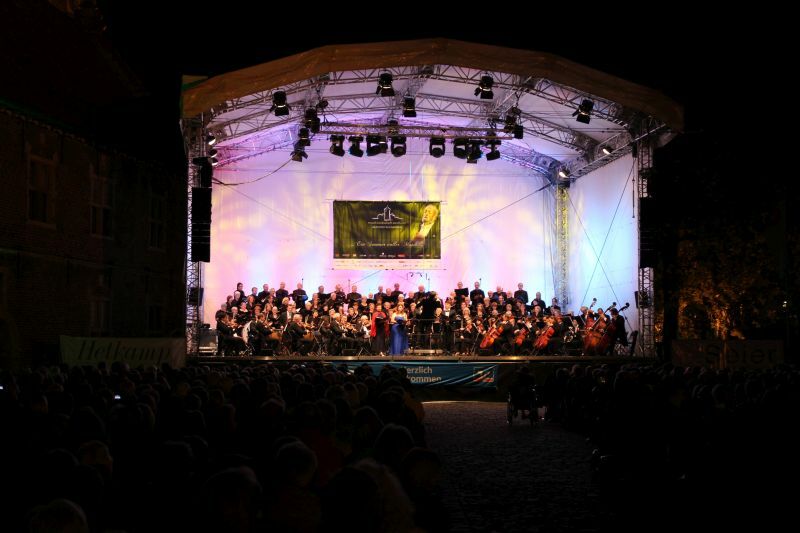 Within the framework of the opening ceremony, L&S was responsible for the design and construction of stage as well as the technical realization of the event. This included the equipment of the press conferences. For the first time, L & S realized the lighting of the stage for the public television with exclusive use of energy-efficient LED spotlights. The new Litecraft WT9, a spotlight with 18x9W Tri-LEDs, was used. Each LED contains the three white light colors: warm white, cold white and amber, so that a controllable stepless adjustment of the color temperature of the spotlight between 2.975 ° Kelvin (artificial light) and 6,000 ° Kelvin (daylight) is possible. The camera leaders of the present television stations were highly satisfied, which is not a matter of course with a pure LED lighting. From now on, L&S is sure that the WT9 is the dimmable and controllable energy-efficient alternative to the CDM spotlights which have been proven a hundred times. Place of use will be the trade fair stands and stages.